These are from my husband, just because!! I had to take a picture of them because they are so beautiful. 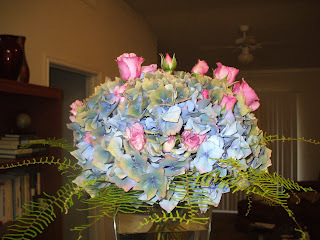 These are hydrangeas & roses mixed together. Thanks, sweetie!